Rock-hard six-pack, firm backside, full lips and glossy hair: Everyone seems to look the same on the social media platform Instagram. Radiantly beautiful women and men, all of whom appear to be on a non-stop holiday in some exotic country, sipping brightly colored smoothies and casually showing off their luxury handbag or latest fast car. 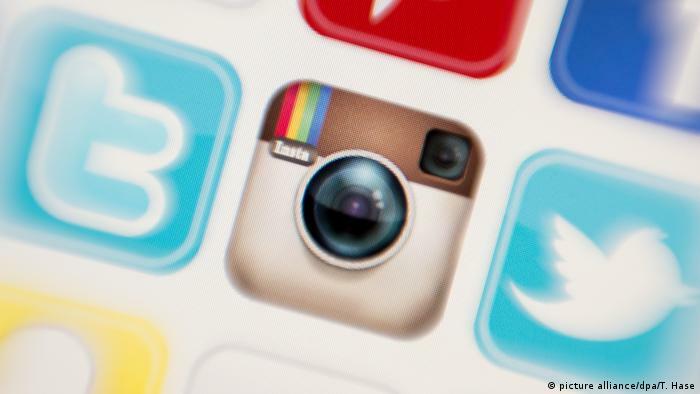 It seems that for these Instagram stars, known as ‘influencers’, anything is possible. Yet they’re actually just ordinary people, like you and me, which is why many young people see them as role models. It’s not just because they can try to emulate them; unlike the big celebrities, they feel quite close to them, too. They can ‘like’ or comment on their pictures, and many of these Instagram stars also react to comments. Underneath their posts they list the products they’ve used for their makeup and clothes – but they’ve seldom actually purchased them themselves. Is this an advertisement for chips? For many companies, influencers are an easy way of marketing their products. When an Instagram user reaches 10,000 followers, companies will often write to them and ask them to test and recommend their products, because they have considerable reach with a particular target audience that also trusts them. 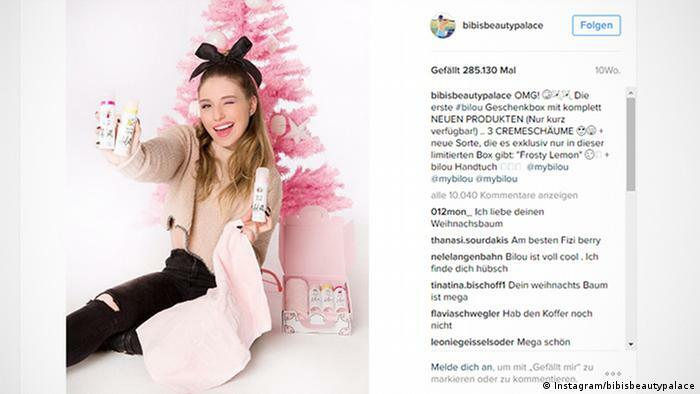 “Ultimately, the aim is for the influencers to help increase a product’s value, make it interesting, attract attention, and that ultimately guides consumer behavior,” explains Jochen Mai, a social marketing expert and the founder of the blog “Karrierebibel.” “Meaning that, in the end, people should feel, ‘Oh, if he thinks that’s great, I’ll buy it, too.” This way companies don’t even have to try to extend their own reach, says Mai; they can just tag on to existing influencers. It’s precisely this development that companies want to circumvent by using influencers. Because they enjoy a high degree of trust, and can reach a large number of people, they can place advertising messages that do actually reach the customer. In other words: Trust in the influencer is transferred to the company doing the advertising. This is profitable from an economic point of view. There is, however, a danger that influencers are allowing themselves to become instrumental. Yet this is precisely what many young people want. 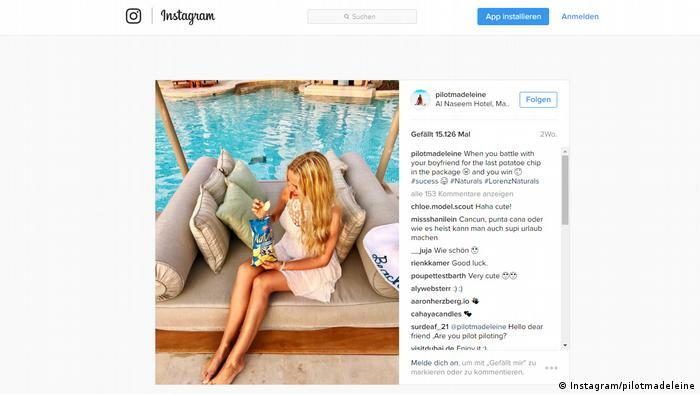 “What I’m observing online is an increasing desire to become an influencer,” says Jochen Mai. “For many young people, it’s their dream. The plan, of course, is to rip off some gimmick or other.” Mai says that influencers are prostituting themselves by taking money for their opinion and reach; there’s also the problem that it opens the floodgates for covert advertising. Many users can already no longer differentiate between what is real and what is in fact advertising. Often, these sorts of posts are no longer labeled as the law says they must be. On YouTube, a shift in convention means videos are now often marked “Sponsored” in the description; but on Instagram, hardly anyone pays this any attention. This is why Felix Beilharz is insisting that all advertising must be recognizable as such. “According to the prevailing interpretation of the law, only a label with ‘advertisement’ or ‘publicity’ is acceptable. Many lawyers take the view that terms like ‘sponsored’ or ‘promoted post’ are insufficient,” the marketing expert says. Gutmann has often observed, from conversations with friends, that they will blindly purchase products just because an influencer has recommended them. Another of her criticisms is that many social media platforms turn into advertising platforms and negative comments under posts are immediately deleted. This is why her petition calls for a review of the current legal situation. She wants the law to be reformed accordingly with fines for covert advertising and more transparent controls. In an ideal social media world, everyone would play by the rules, says Gutmann. Advertising would be labeled transparently, and this would be accepted by all parties – not just influencers and companies, but followers as well, leading to responsible, conscious advertising and purchasing. Jochen Mai takes a similar view. “Companies will continue to invest even more money in Instagram influencers, because they can see that it works.” However, Mai says, as soon as consumers can tell what’s real and what’s fake, this trend too will pass. 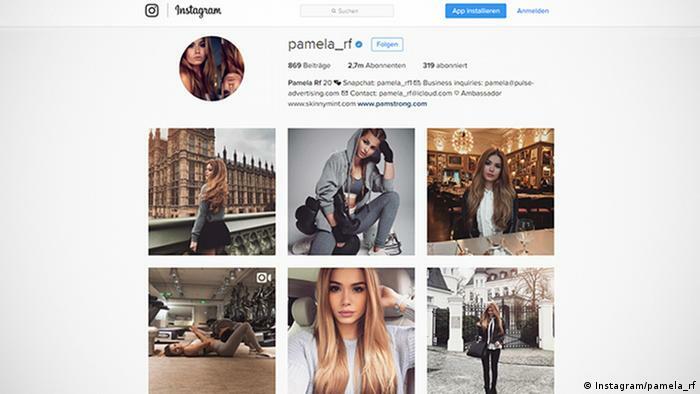 ← Influencer auf Instagram: Meinung oder Prostitution?